Atom Heart Mother is the fifth studio album by English progressive rock band Pink Floyd, released in 1970 by Harvest and EMI Records in the UK and Harvest and Capitol in the US. It was recorded at Abbey Road Studios, London, England, and was the group's first album to reach number 1 in the U.K., while it reached number 55 in the U.S. chart, eventually going gold there. A remastered CD was released in 1994 in the UK and the US, and again in 2011. Ron Geesin, who had already influenced and collaborated with Roger Waters, made a notable contribution to the album and received a then rare outside songwriting credit. 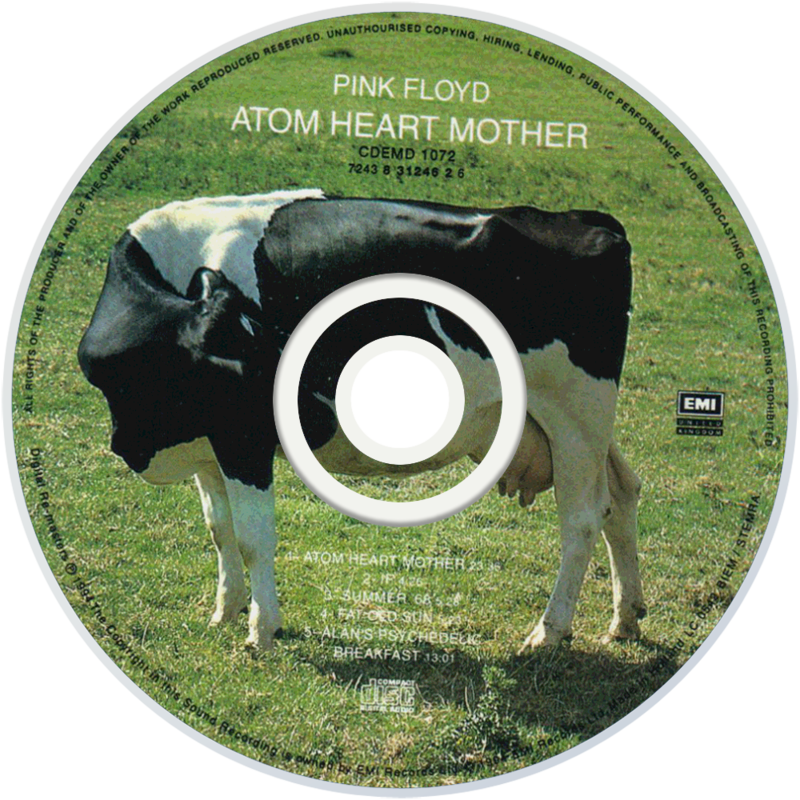 The album cover was, again, designed by Hipgnosis, and was significant in that it was the first one to not feature the band's name on the cover, or contain any photographs of the band anywhere. This was a trend that would continue on subsequent covers throughout the 1970s and beyond. Although commercially and critically successful on release, the band have expressed several negative opinions of the album in more recent years, particularly from Waters and David Gilmour. Nevertheless, it remained popular enough for Gilmour to perform the title track with Geesin in 2008.